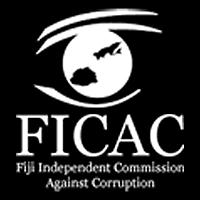 FICAC is hosting a seminar on “Public Sector Accountability and Integrity in Project Implementation and Procurement” where representatives of various government departments are taking part. Have you asked why your Minister extended valuable concessions without going to tender or increasing government revenue George? Chairman Ajith Kodagoda should get smart, if Vodafone Fiji is not involved FNPF funds will be subjected to unnecessary risk… GET OUT NOW. FNPF said it remains positive that parties involved in the BeMobile share subscription agreement would explore all alternative structures going forward. In a FNPF statement, Chairman Ajith Kodagoda confirms that the BeMobile share subscription agreement was not completed as certain conditions critical to the achievement of the business plan projections were not met. Kodagoda said that as custodians of members’ funds, the Board is mindful of its duties to protect and grow members’ savings and will always act in their best interest at all times. 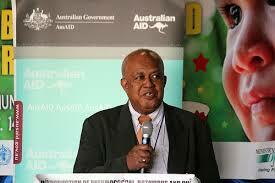 He said FNPF has recommenced talks with the Independent Public Business Corporation (IPBC) of PNG. The Post Courier had reported that Vodafone Fiji has backed out of the deal with BeMobile due to differences over the use of a contractor to rollout the new infrastructure. The joint-venture agreement would have seen Vodafone Fiji manage BeMobile’s telecommunications system and the PNG government’s IPBC would own 51% share equity while the Fiji National Provident Fund could have 40%. 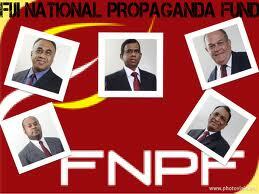 Vodafone Fiji Managing Director, Aslam Khan had said he will not make any comments. Can you live on a Dollar a Day Frank? 5738 senior citizens are currently assisted through the government’s Social Pension Scheme. This said Ministry of Social Welfare, Women and Poverty Alleviation Permanent Secretary Dr Josefa Koroivueta. Koroivueta said senior citizens who are 70 years and above are currently benefiting from the Pension Schemes $30 monthly allowance. Dr Koroivueta added a total of 177 senior citizens have been assisted in the maritime areas namely Kadavu, Lau, Lomaiviti, and Rotuma. $3.24 million has been allocated to the Social Pension Scheme for 2013. Time to give the pensioners more than a Dollar a Day Frank, and the same question for you Frank, who is getting the other $1.17 Million Dollars ?